The Pennsylvania state motto first appeared in 1778 on the coat-of-arms designed by Caleb Lownes of Philadelphia. Pennsylvania's Declaration of Independence from Britain took place two years earlier in 1776 and most likely had a strong influence in the choice of independent national sentiments displayed in the Pennsylvania motto. 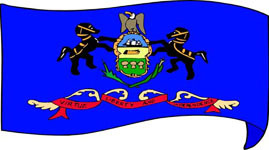 In the years leading up to 1873 many changes were attempted to the coat-of-arms until one that looked very much like the original design by Lownes was finally decided upon and adopted along with the Pennsylvania state motto in 1875. Today the Pennsylvania motto also appears on the state flag. This term is originally found in the language of architecture. It designates the middle stone of a stone arch - the central, important stone that keeps all the stones in place. 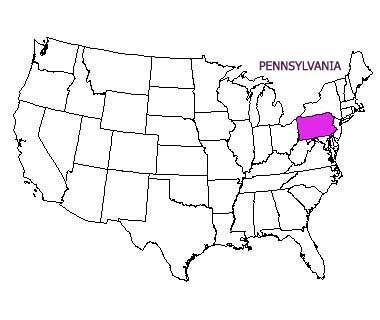 In relation to Pennsylvania the meaning is symbolic: Pennsylvania is placed in the middle of 13 colonies thereby playing a central political, social and economical role. The great coal industry of Pennsylvania is the inspiration for this Pennsylvania nickname. Steel is another pillar in the Pennsylvania state industry. This is yet another one of Pennsylvania's natural resources providing the state with great economic profit. For instance Quaker State Oil is a common brand. The Pennsylvania nickname "The Quaker State" is a reference to the Religious Society of Friends, also known as Quakers. 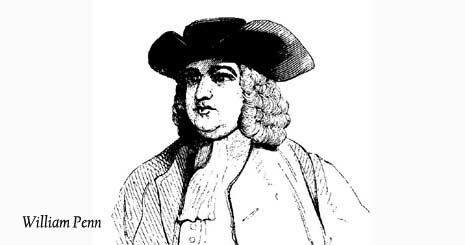 The English entrepreneur and philosopher William Penn was a devoted Quaker and was considered the founder of the Province of Pennsylvania and his passion for freedom of religion and democracy made him very popular both among Indians and colonists. This is the current Pennsylvania state slogan which is a reference to Independence Hall, a U.S. national landmark located in Philadelphia, Pennsylvania. "Pennsylvania, Memories Last a Lifetime"
This Pennsylvania state slogan from the 1990'ies was criticized for not being too original. Also it was similar to that of a York County Stripper business who promoted themselves with the following advertising slogan: "A Memory That Lasts a Lifetime". "You've Got a Friend in Pennsylvania"
This is an old Pennsylvania state slogan that promoted the state of Pennsylvania from 1983 to 1999. This is also a former Pennsylvania state slogan. Some of these Pennsylvania funny state slogans can be bought on souvenir t-shirts. Or maybe Alabama, Alaska, Arizona, Arkansas, California, Colorado, Connecticut, Delaware, Florida, Georgia, Hawaii, Idaho, Illinois, Indiana, Iowa, Kansas, Kentucky, Louisiana, Maine, Maryland, Massachusetts, Michigan, Minnesota, Mississippi, Missouri, Montana, Nebraska, Nevada, New Hampshire, New Jersey, New Mexico, New York, North Carolina, North Dakota, Ohio, Oklahoma, Oregon, Rhode Island, South Carolina, South Dakota, Tennessee, Texas, Utah, Vermont, Virginia, Washington, West Virginia, Wisconsin, and Wyoming.